Camden officials on Tuesday announced a new job-training program they said would connect local companies with city residents and prepare workers for jobs in construction, building trades, and other fields. The program, which is funded by a $500,000 grant from the New Jersey Department of Labor and Workforce Development, is also aimed at preparing residents for job opportunities that may arise as companies start relocating to Camden in the years to come. 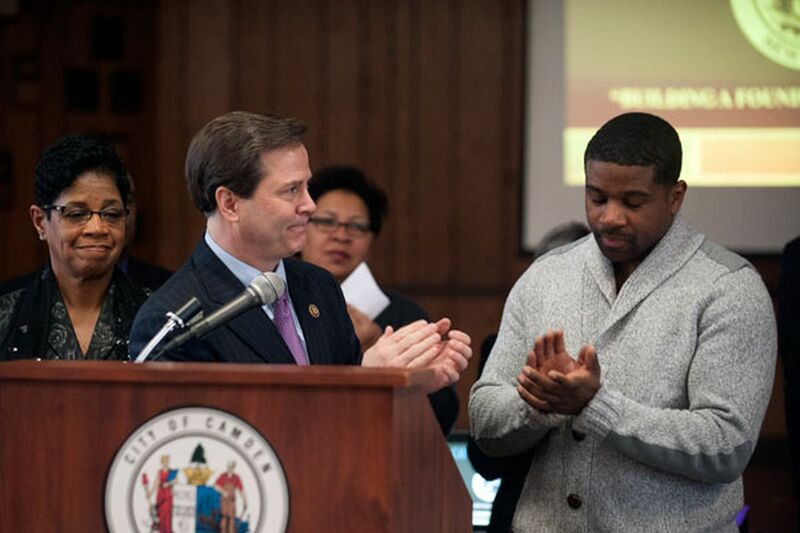 The money will go to establishing apprenticeships and training through Camden County College, labor unions, and the business community, said U.S. Rep. Donald Norcross, one of the officials who spoke Tuesday afternoon at a news conference at Camden's Malandra Hall community center. "The best social program is a job," Norcross (D., Camden) said, flanked by representatives of the U.S. Department of Housing and Urban Development, the state Department of Labor and Workforce Development, and Camden County College. "We are marrying those who have the need and the desire with those who are hiring." Employers in Camden can work with the city on identifying potential hires and training them to fill specific job openings, said Deputy Labor Commissioner Aaron Fichtner. The first round of training will prepare 20 workers for jobs at four local businesses, including the European Metal Recycling company. Similar programs established in Newark and elsewhere have been a success, Fichtner said, because of that customized approach. "We want to make sure we get the right people the skills they need to get these jobs," he said. "We tailor the training." City leaders have long struggled with how to best provide job training in Camden, where the unemployment rate was 17 percent last year, three times the national average, and where many adults lack high school diplomas. In 2005, an Inquirer analysis of six programs aimed at Camden residents found that the state spent $1.5 million over two years on training and loans, but the results were disappointing: Many participants did not complete the programs they signed up for, and a lack of advertising meant many other residents were unaware of them. Last year brought encouraging business news for Camden, with four major companies and several smaller businesses announcing plans to move to the city with the help of multimillion-dollar tax incentives from the New Jersey Economic Development Authority. The 2013 Economic Opportunity Act, which Norcross championed as a state senator, allowed broad use of tax incentives to attract businesses to a handful of struggling cities in New Jersey. Since then, it has led the EDA to award more than $630 million to Camden projects. The EDA awarded Cherry Hill-based Subaru of America $118 million in breaks to relocate operations there and gave $107 million to defense contractor Lockheed Martin to move 250 people from its Moorestown location. It also awarded $40 million in incentives to Cooper Health System to move 353 back-office jobs from Cherry Hill and Mount Laurel. Norcross' brother, George, is chairman of the board of trustees for Cooper Health. The deals have largely involved the relocation of high-paying jobs from elsewhere in South Jersey, but officials have said they would create about 500 new jobs in Camden. Several also call for major building projects, such as energy company Holtec International, which received $260 million in tax incentives and will need a reported 1,400 construction jobs. The Philadelphia 76ers received $82 million in tax credits to build a practice facility on the Camden riverfront. The credits, spread over 10 years, are conditional on the companies' creating or saving at least 250 jobs and remaining in Camden for at least 15 years. City Councilman Brian Coleman said it was critical for the training to capitalize on the city's business growth. "This is an important component that our people need in order for the city to move forward," he said. "Having those companies needs to be an asset to Camden, and part of that is jobs." Companies interested in participating in the program, as well as residents who want to sign up for training, can call the city at 856-757-7200.